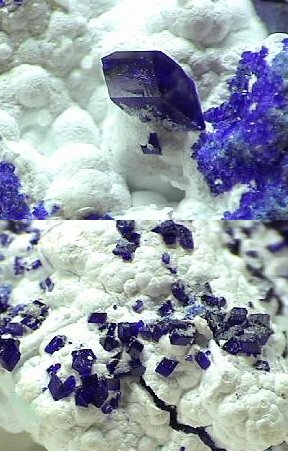 Comments: Milky white olshanskyite hosting crystals of deep blue henmilite to 6 mm across. Location: Fuka Mine, Bicchu Town, Kawakama Co., Okayama Pref., Japan. Scale: Crystal size 6 mm.